It is important to be able to differentiate between silver metals for a successful pairing during a design scheme. Our absolute favorite is polished nickel for its warm, yellow undertone, yet vibrancy. Actually, we love it because it pairs so well with brass (check out our roundup of satin brass knobs + pulls), while mellowing the vividness brass tends to have at times if you were to pair the two. Polished nickel coordinates beautifully with any interior and is a classic choice for all styles. Here are just a few of our favorites. 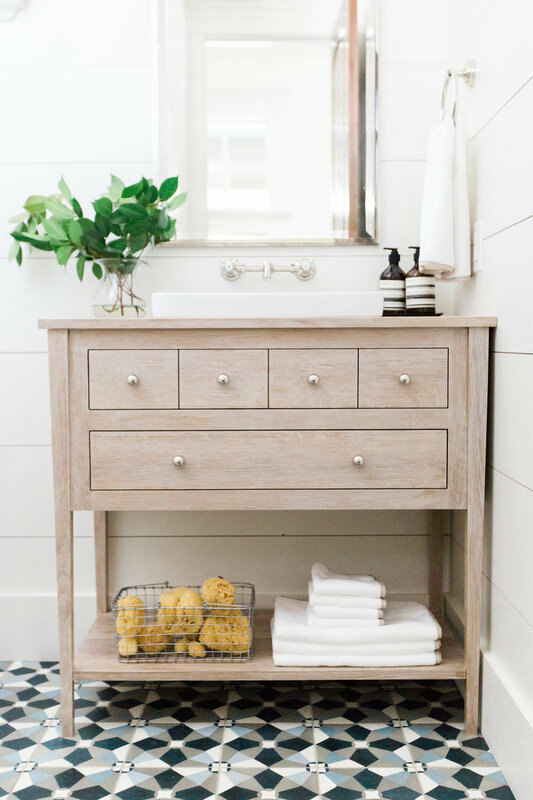 We tend to gravitate towards polished nickel hardware because unlike a satin nickel finish, it offers a bright, (though warm), fresh, jewelry like finishing touch to cabinets. It is a great alternative to stainless steel or chrome, which have a cooler, blue undertone. We find chrome to be too harsh and cold for the soft interiors we like to envision. What do you think? Wow, I really love knobs #3 and of course, the latch, #13. From the pulls category, I love #1 and #7. Which ones are your favorites and where would you install them? We'd like to do a roundup of matte black hardware, one of these days, too. Gotta list that in my blog calendar.